McCulloch’s Clownfish is rare in the wild and endemic to just one island in the subtropical southwest Pacific: Lord Howe Island. It was unknown in the North American aquarium trade until 2010 when Liveaquaria produced and sold young from pairs they painstakingly acquired in 2008. The exorbitant price tag has come down, and they’re more affordable today. 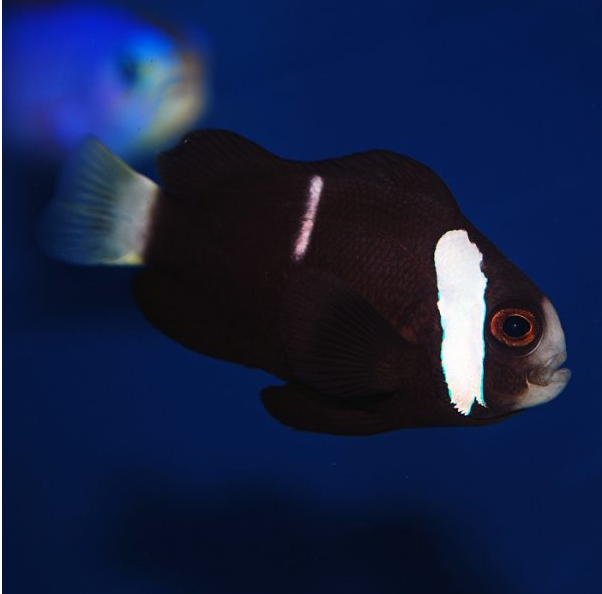 They’re not very popular because unlike most other clownfish in their genus, they’re very aggressive. They’re difficult to pair up because unlike other clownfish, the males are not smaller than the females. They’re fairly easy to care for and will pair with many species of anemones, though they prefer E. quadricolor. They’re not picky eaters and will consume a variety of frozen and prepared aquarium foods.